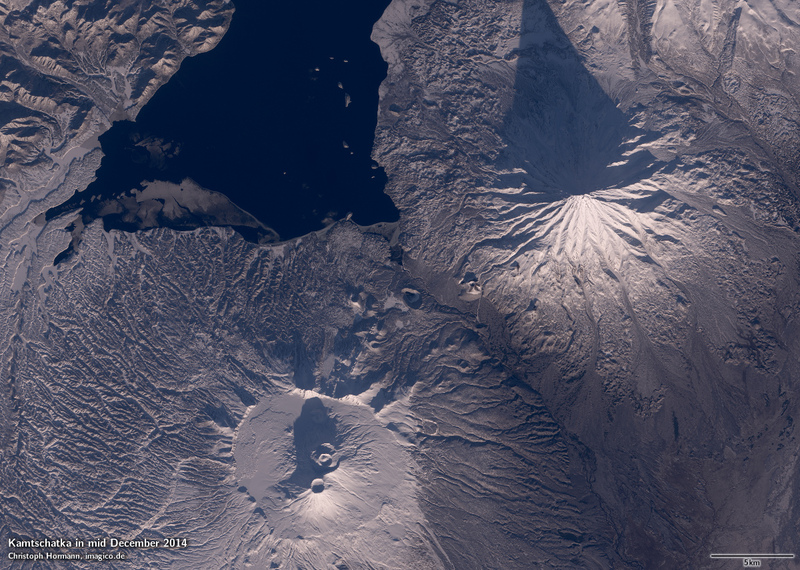 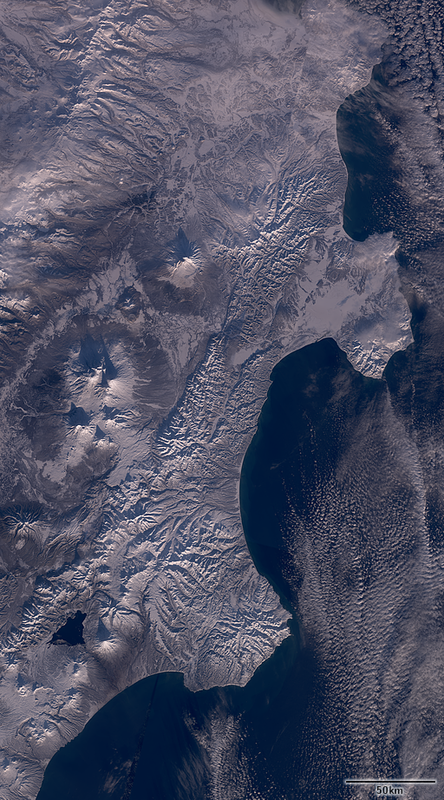 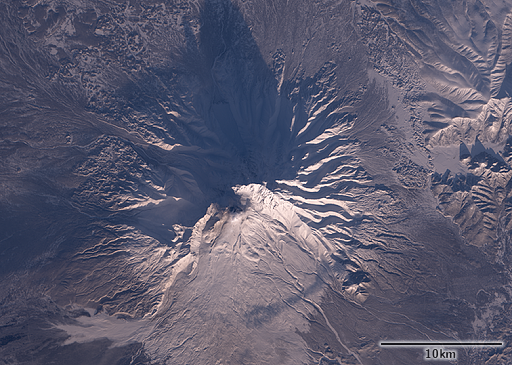 Here is a mosaic of Landsat images from mid-end December of Kamchatka. I have produced winter mosaics from the area before but Kamchatka always provides new interesting features. In contrast to the previous mosaic from February this is from earlier with a lower sun position (right before the solstice) and as you can see in the following crop the larger lakes only start to freeze over. 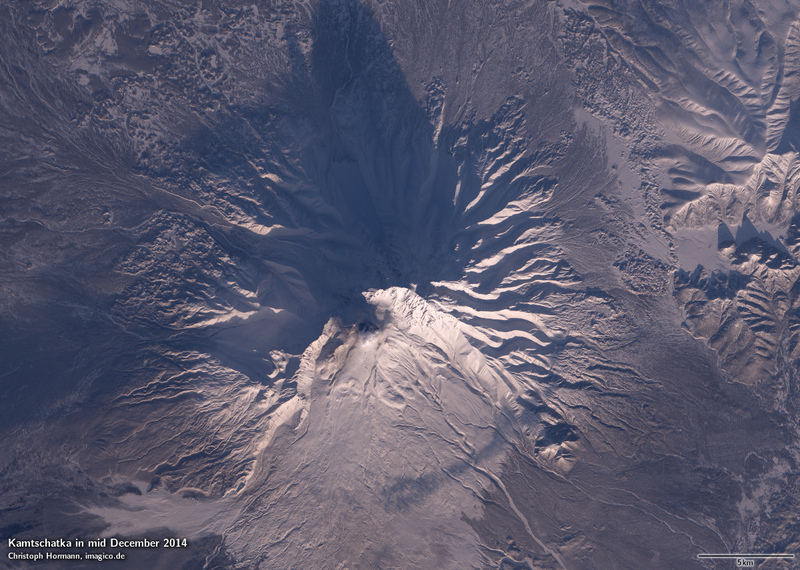 The Shiveluch volcano in the second crop showed frequent activity during the last year and here you can also see a cloud of steam over the summit crater.